Review: The story of William Shakespeare’s Macbeth. An ambitious Scottish lord gets so powerful and strong that he seizes the throne. As powerful as Macbeth is he has help from Lady Macbeth and the trio of witches. Here comes a film from the most acclaimed director Roman Polanski. 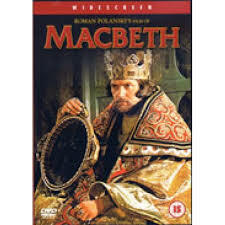 The original title for this film is “The Tragedy of Macbeth”. There are so many scenes in this that will stay with you forever. This is the best production of Macbeth that you will ever see. Each scene from the play is just how you imagine. As this is a Polanski film you will not be surprised to hear that it is very gory and violent right from the opening sequence. At the Bafta Awards in 1973 this won one award and that was for Best Costume Design. One film critic wrote about this film “Not only represents an apex of Polanaki’s darkest sensibilities, but it is one of the most fascinating of Shakespearean adaptations”. It is hard to Imagine that anyone will ever produce a better film adaptation of the Scottish play, but be warned: this is a very grim cinematic experience.